I’m thrilled, this is innovation at it’s peak. 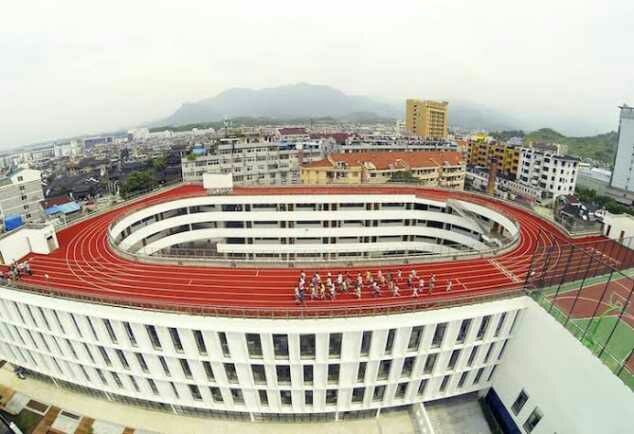 The race track as you can see is designed on the roof top of a four-storey building identified as Tiantia Primary school in China, the track covers 200m running space. 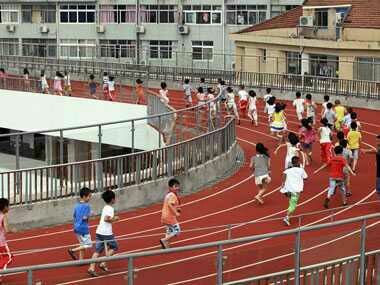 But, on a more serious note, do you think Nigerian Parents will allow their children run on the roof top? let’s have your opinion in the comment section.